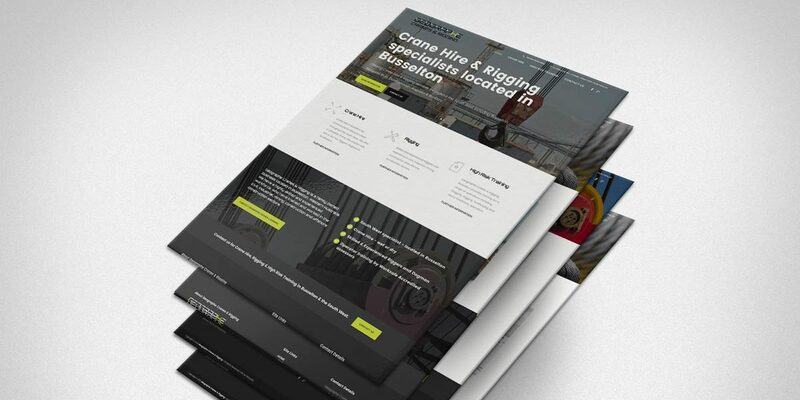 Personify was approached by Matt Reither to construct a website for Geographe Cranes & Rigging, a new Crane Hire business in the South West region that also offers to high risk training for industry. As with many of our clients, Matt was referred to us by Malatesta Road Paving & Hot Mix who has become a long-term client of ours. The challenge with many new businesses is the lack of relevant and high quality images for the website. Quality images are often the difference between a mediocre website and a fantastic website. We were able to source relevant stock images that are industry specific and complement Geographe Cranes & Rigging’s service offering. Where practicable we also offer professional photography services to assist in building a bank of high quality images for your business. The resulting website design for Geographe Cranes & Rigging, Busselton is a site that accentuates the brand and offers a clean and contemporary design. The chosen images assist in conveying this feel. Contact us if you would like to experience personal service, effective design and outstanding outcomes for your website design project.